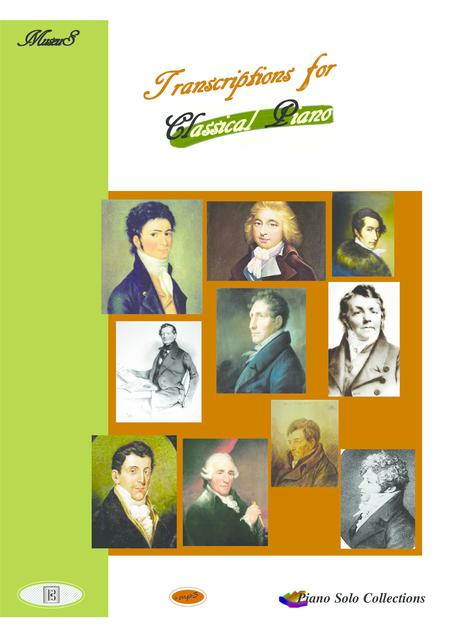 A great collection of twenty transcriptions for easy to early-intermediate piano solo, full of arpeggios and scales combined in a melodically manner, by various composers of 18th-19th century: Hummel, Mozart, Beethoven, Dussek, Weber, Diabelli, Cramer, Viguerie, Kaulhau, Steibelt, Haydn, Clementi, Nicolai and more. First published around 1890. With downloadable mp3 just for audio help (please use the link on the last page of the score or just e-mail to museusmusic@gmail.com). Each piece is 2 pages, total 40 pages.